Can't attend? Follow トポス　to know of future events! A piece of Tanztheater on the themes of traveling and being adrift found in philosopher Kiyoshi Miki's Notes on Life. Choreographer Pau Aran Gimeno took detailed notes of conversations in Barcelona with Junya Ishii. Later, during a residence in Tokyo, Gimeno determined 15 key words to toss like cards at Kaho Kogure and Junya Ishii. The list of keywords includes "heart," "dilemma," "emotion," "doubt," "water," "garden," and more. Using methods resembling automatic writing techniques, they composed a scene exploring the hearts of a man and a woman, portraying the landscape and the time in which their two straight lines intersect. The performance features music by Noriko Okaku. Tokyo, Barcelona, and London. In the TÓPOS dance project, performers with unique perspectives, personalities, and bodies come together, working to both share a process for envisioning a positive future and also to create a space for exploration and experimentation. Junya Ishii (TÓPOS founder, dancer, and actor), Pau Aran Gimeno (dancer from Pina Bausch's Tanztheater Wuppertal), and Noriko Okaku (visual artist residing in London) began this project by meeting in Barcelona in 2017. 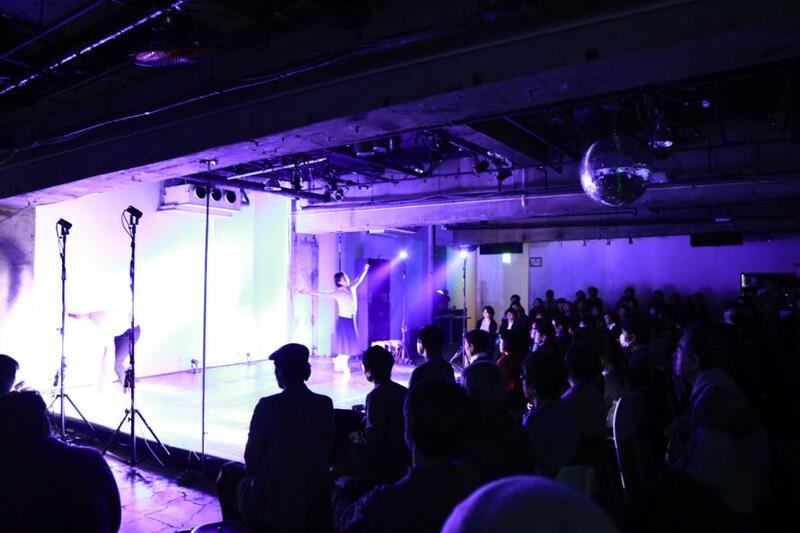 Later, dancer Kaho Kogure joined in Tokyo. TÓPOS explores the middle spaces that connect inside and outside, East and West.